← Laughed my carbdominals off! As you may, or may not know but will know, we have a pet chinchilla named Jasper. She asked us if we would take Jasper for her. We said yes! Being that we like to let Jasper get his exercise in, we put him in the bathroom for a ‘run-around’ and bath. His cage is small, the bathroom is big. It’s a win-win. Before Jasper gets his freedom time, we take everything out of the bathroom. Everything because chinchillas chew. A lot. Their teeth never stop growing so they have to gnaw them down, but he is not going to gnaw on my magazine holder, or the toilet bowl brush ewwww! So out with everything, in with Jasper. He loves it! We put his bath in, some hay and turn off the light (it’s ok, chins are nocturnal). Then we let him run amuck for an hour or so. He gets plenty of exercise in! He can run, jump and flip to his delight! We go in there and watch him, make sure he’s doing ok and occasionally he lets us hold him. It’s pretty cool! Even with all that, we love having our Jasper with us. 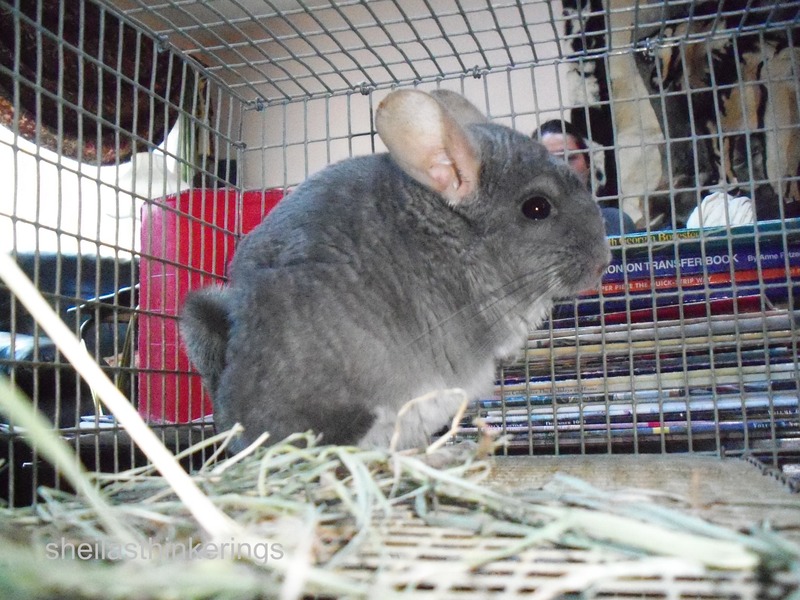 This entry was posted in Blog 365, General and tagged anatomy, chinchilla, family, male. Bookmark the permalink.